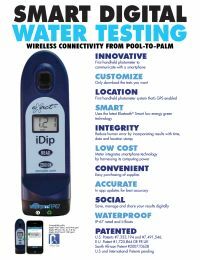 The eXact 486101 iDip Photometer utilizes the latest in water testing technology, becoming the only handheld photometer with the ability to establish a wireless connection with a smartphone. 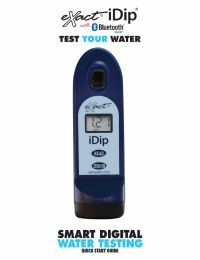 The iDip Photometer uses Bluetooth technology to upload testing results directly to your smartphone- making storing test results, customer information, and testing locations more convenient than ever! By simply downloading the iDip app, you gain immediate access to new updates and downloads, the ability to purchase new supplies through the app, and a user-friendly data storage system.